Back in 1990 and 1991, the UK’s Channel 4 ran Vic Reeves’ Big Night Out, a surreal parody of the variety show. That show launched Vic Reeves’ and Bob Mortimer’s careers. They went on to make a number of beloved series, but 27 years later, Big Night Out returns. 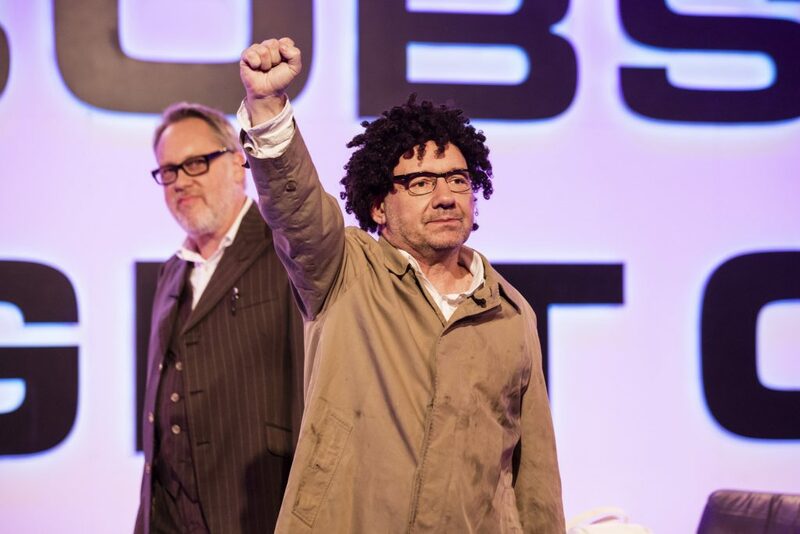 Though Vic and Bob’s Big Night Out has made a number of changes — including its home, which is now BBC4 — any time spent with Vic and Bob is welcome. The original series sat Vic Reeves, solo, at a desk, while Bob Mortimer would frequently appear on stage as different characters for Vic to play off of, along with Les, played by Fred Aylward, Vic’s mute stagehand who was afraid of cress. (That’s not a euphemism. Occasionally Vic would taunt Les with cress.) The new version of Big Night Out puts Bob at the desk with Vic. Les is gone, but Vaun Earl Norman is on-hand to play various celebrities he looks nothing like. With Bob at the desk, that means that we lose out on most of the beloved characters from the original run of Big Night Out, like The Man With the Stick. Vaun doesn’t really fill that role either, usually only showing up a couple times during each episode. So far, the only character from the old series is Graham Lister, the combative greasy-haired man in a brown coat who can’t stand Vic. Lister usually is part of “Novelty Island,” the only returning segment, where different people (usually Bob) show Vic their bizarre hidden talents. With the lack of so many of the original Big Night Out characters and segments, Vic and Bob’s Big Night Out feels closer in spirit to their other sketch shows — especially Bang Bang, It’s Reeves and Mortimer. That said, Bang Bang is my favorite series of theirs, so as much as I miss the audience shouting out “What’s on the end of the stick, Vic,” the ending theme “Oh Mr. Songwriter,” or the Big Night Out catchphrase “You wouldn’t let it lie!,” I’m just happy to watch Vic and Bob being, well, Vic and Bob. Bob Mortimer as Bill Decker, a murderer. One of the things that’s always made their shows so much fun is how clearly they truly enjoy each other’s company. They’re always cracking each other up, and ad-libbing — but since the Big Night Out aesthetic has always had a ramshackle element, it doesn’t feel unprofessional, but like you’re invited to spend a half-hour with your friends. 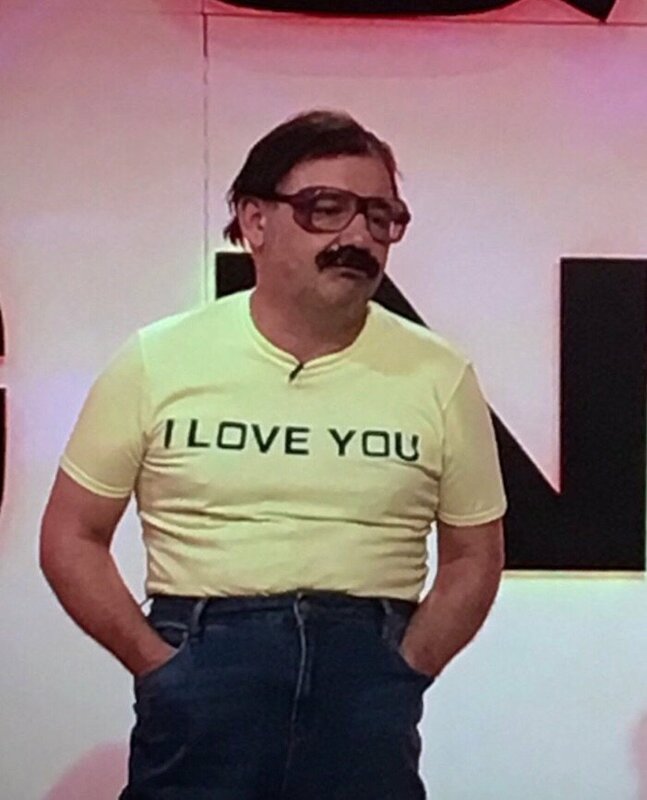 Vic and Bob’s Big Night Out airs Wednesdays at 10 p.m. on BBC4.